A day full of fun for the whole family! Vendor tents! Games and crafts for kids! Pony rides and hay rides! Vendors open at 11:00 a.m.
Pony rides 11:30 a.m. - 4:00 p.m.
Hay rides from noon - 2:00 p.m.
Pet and children's costume contests at 2 pm and 3 pm respectively. 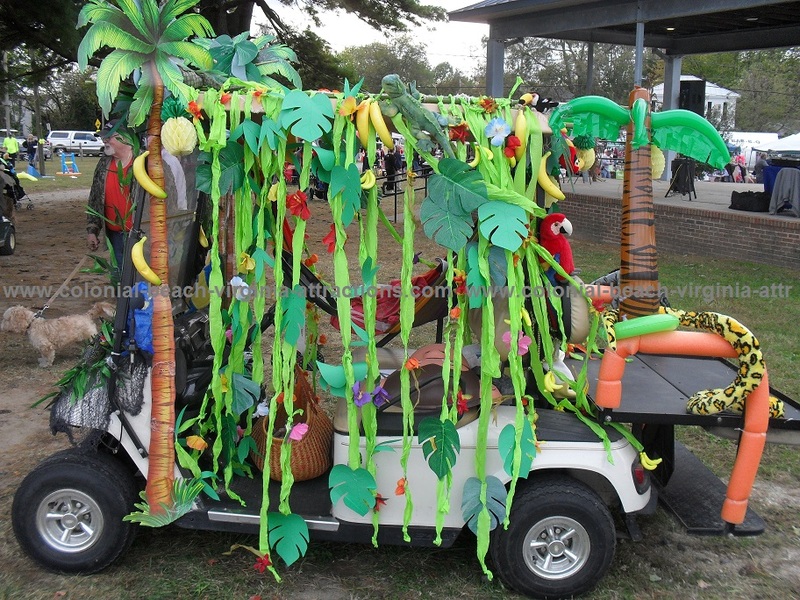 Golf cart parade registration 4:00 p.m. 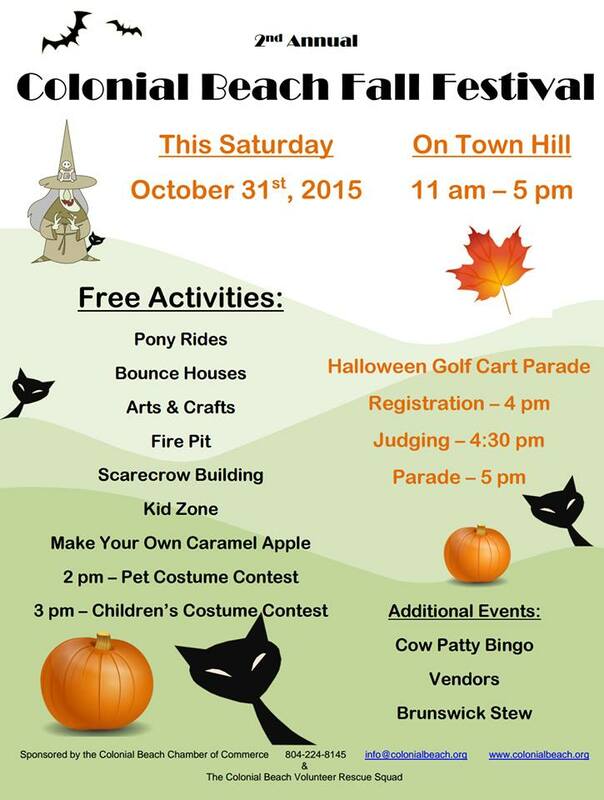 Decorated golf cart parade/contest at 5:00 p.m.
Trunk or Treat 5:15 p.m. - 6:30 p.m. 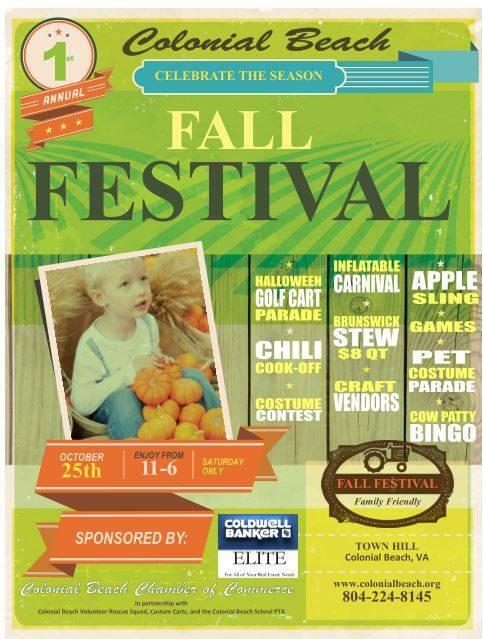 Formerly held on Town Hill, in 2016 the event was at the Colonial Beach Community Center while the usual venue recovers from the rains that fell during Bikefest. Saturday, October 29th, 2016 was the date and the event runs from about 11:00am to 5:00pm. This family-friendly event features fun for all! Usually included in the schedule are things like pony rides, a pet costume parade, an inflatable carnival (moon bounce, slides, etc.) an apple sling (see how far they can fly!) 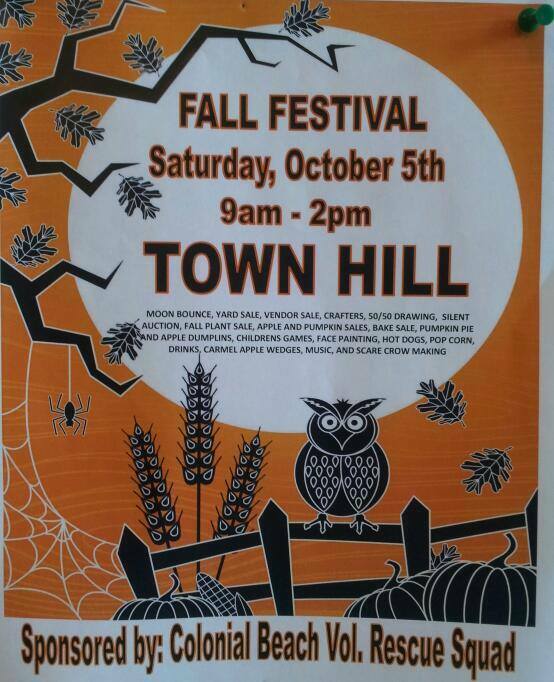 a costume contest, craft vendors and much more! 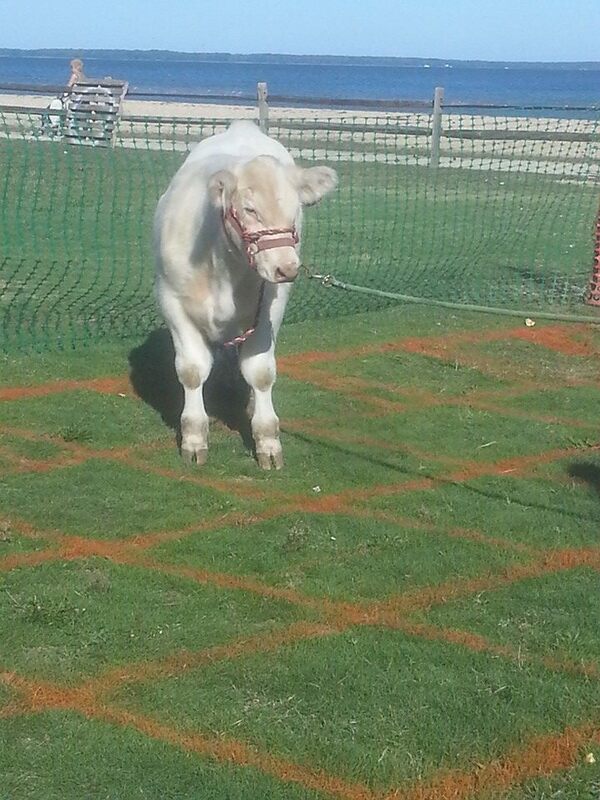 You can win some money at Cow Paddy Bingo. Just rent a square (or more) and hope it gets splatted on. 2' x 2' squares are around $10/each and the first one that the cow soils after the 3:00pm event start time is the big cash prize winner! Proceeds benefit the Junior Rescue Squad. You do not to be present to win. Yummy Brunswick Stew will be available for purchase at around $8/quart. You might even catch a special performance of the celebrity impersonator troupe, Illusions of the Stars! Look-alikes of Cher, Michael Jackson, Marilyn Monroe, Dolly Parton, Toni Braxton and Elvis may be seen on the stage. 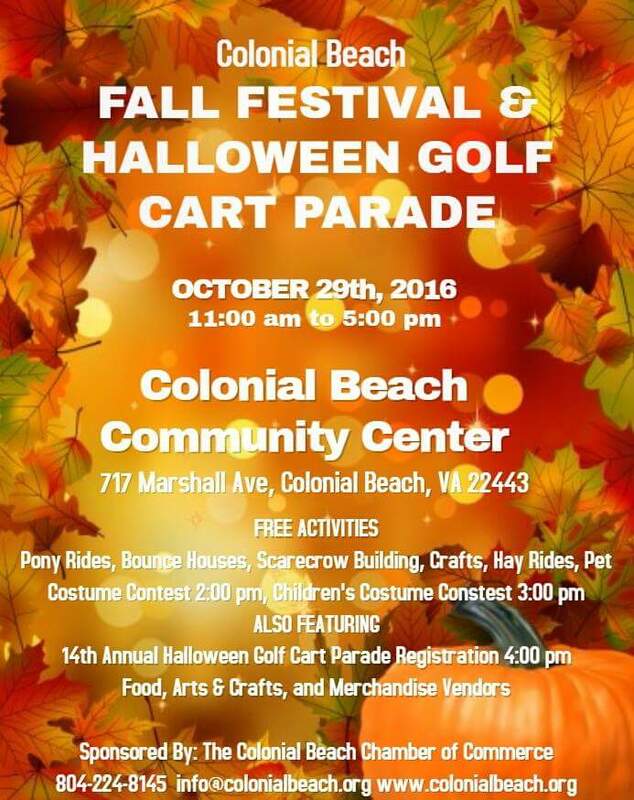 One of the highlights of the event is the Halloween Golf Cart Parade which has been taking place annually for over a dozen years. It is usually a standalone event, but this year it joins forces with the fest. 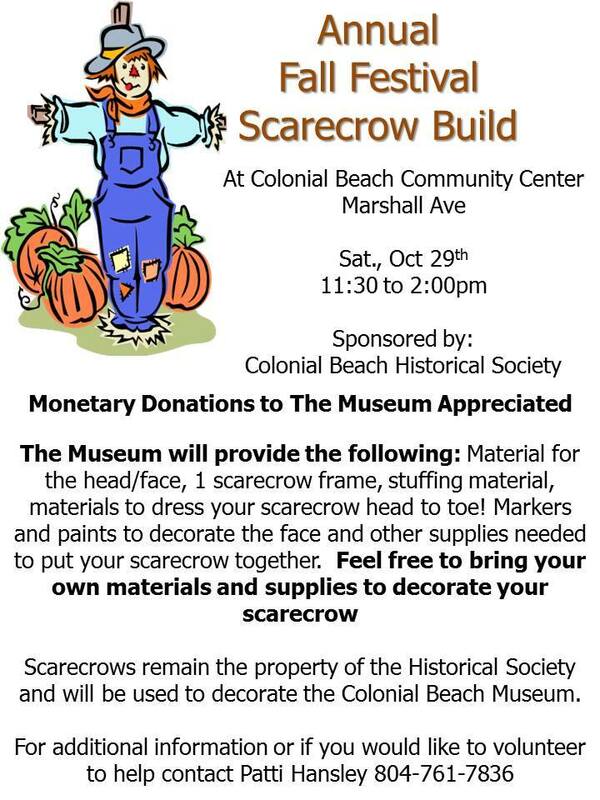 Past event sponsors have included the PTA, Chamber of Commerce, Girl Scouts, Cub Scouts, Colonial Beach Volunteer Rescue Squad, Custom Cartz and Coldwell Banker Elite. 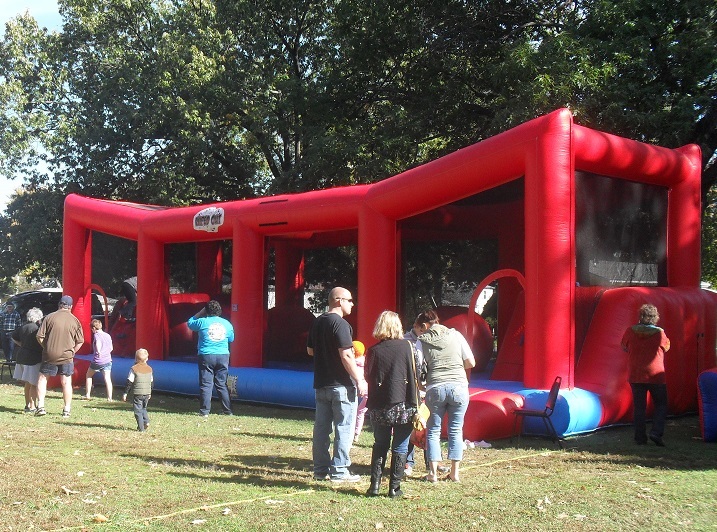 Check out some pictures from 2013's event which took place on October 5th.